that can be shared among JSP pages. 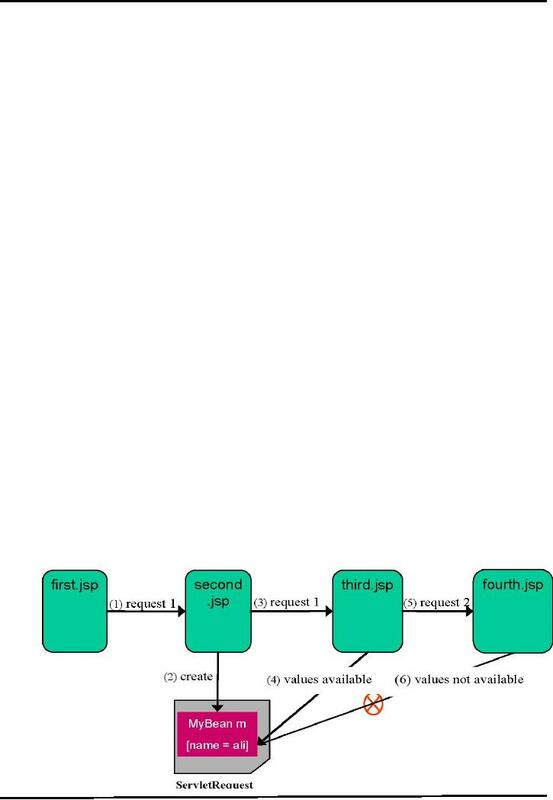 Let's first quickly look on the JSP journey to find out where we have reached. requests to other resources etc. The three action elements are used to work with JavaBeans. These are discussed in detail below. which bean is stored. If a reference is not found, the bean is instantiated. 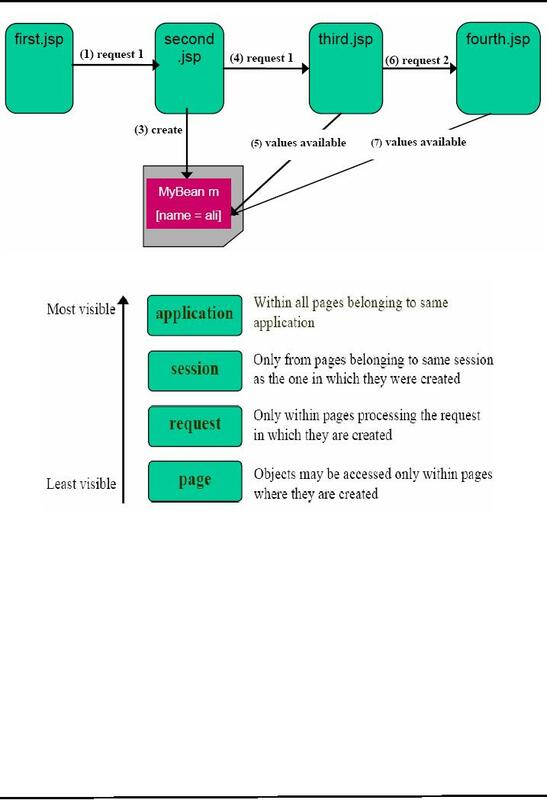 <jsp:useBean id = "name" scope = "page|request|session|application"
omitted, the default value of scope attribute is page. We'll discuss in detail about scope shortly. The class attribute specifies the type of object is going to be created. In the above code snippet, we are assuming that MyBean lies in vu package. by using the related conversion methods. the property to change and the value attribute specifies the new value. defined. 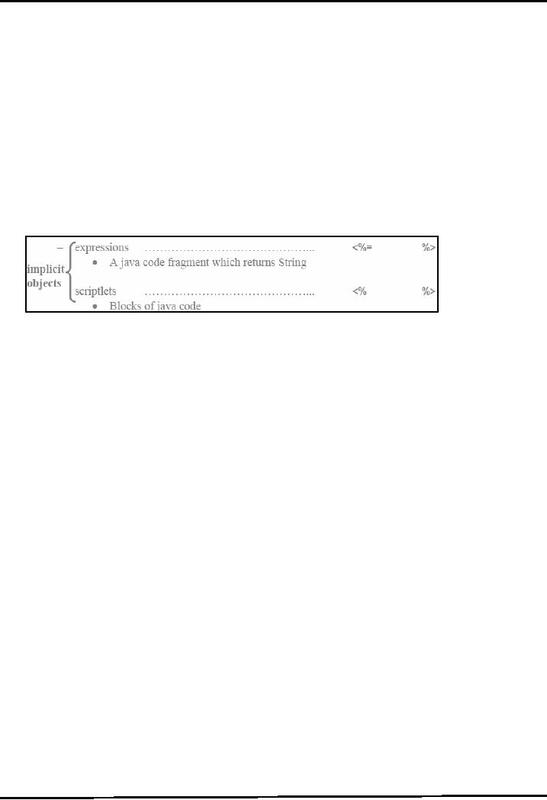 Whereas sum is a "read-only" property as only getter would be defined for it. addition of firstNumber with secondNumber, this method will assign the result to sum attribute. This page will display two text fields to enter number into them. So far, we have learned the following techniques to create objects. in ServletRequest. A value "ali" is also stored in m using setter method. values stored in object m (e.g. ali) are not available to fourth.jsp. 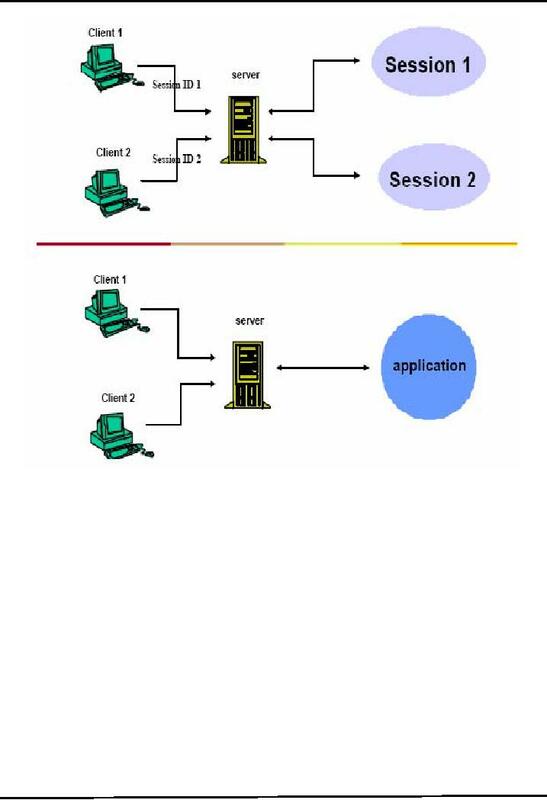 HttpSession persists for whole user's session. The figure below helps in understanding this concept. 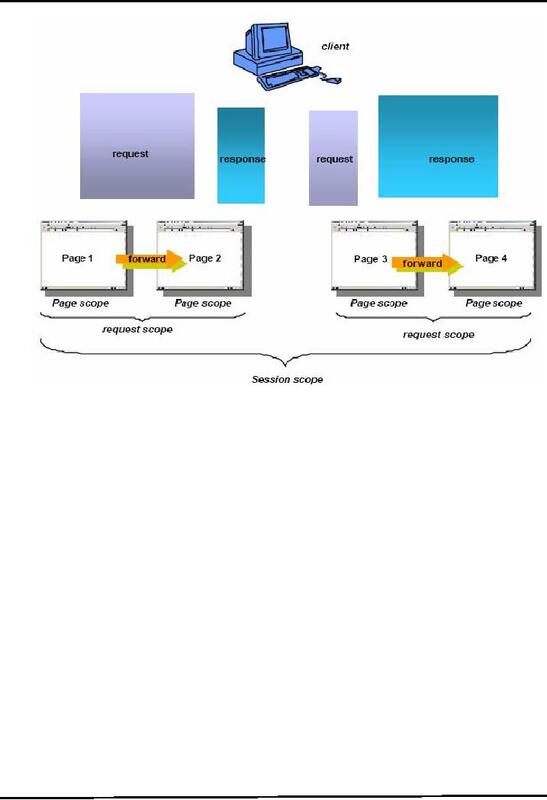 page scope are only available to same pages on which they are created. well to page 2. Similar case is true for page 3 & page 4.
available on all these pages. 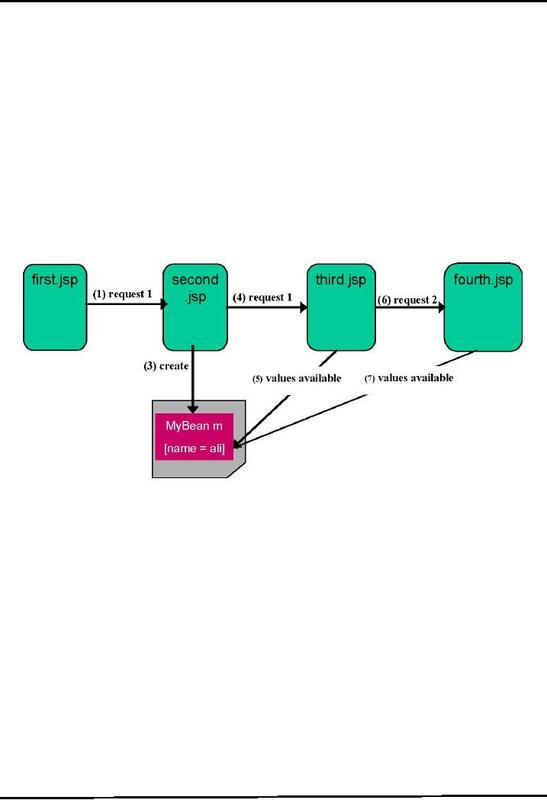 As you can conclude from the figure, for each user (client), objects are stored in different sessions. However, in the case of application scope, all users stores objects in single place. Let's talk about two important action elements. These are include& forward. included JSP is used. It also allows updating of the included content without changing the main JSP. the file to be included. -flush:must have the value "true"